Practice that swing even in the winter with the warmth of this embroidered beanie. 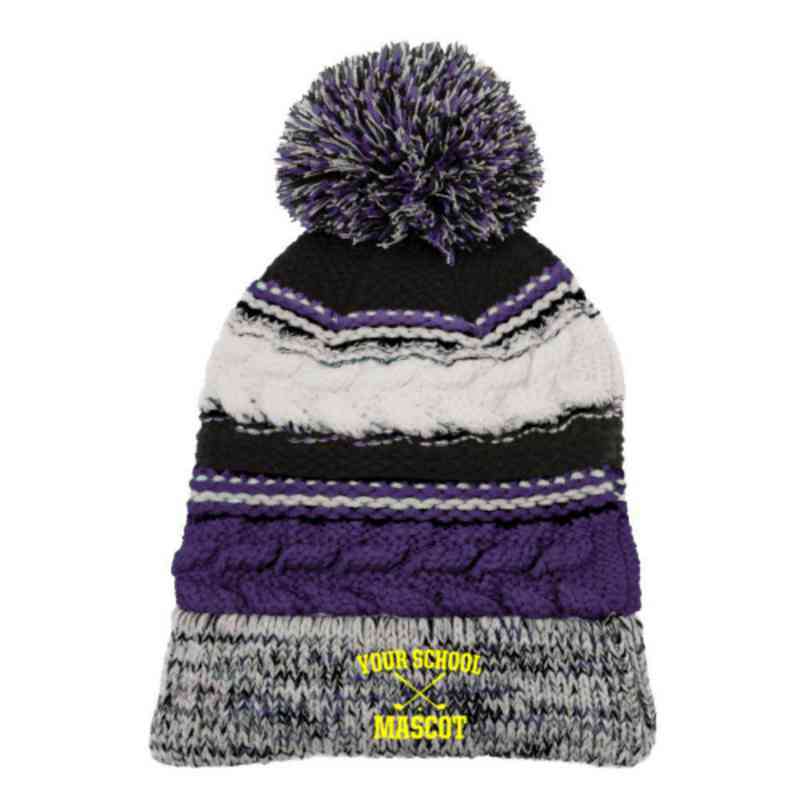 This one-size-fits-all beanie is 100% acrylic, knitted with your school's colors and features a large pom pom on top. Manufacturer direct from a trusted supplier.